Dr. Lorenz is a professor and extension entomologist for the University of Arkansas. He is housed at the Lonoke Research and Extension Center in Lonoke. Upon receiving his Ph.D. from the University of Arkansas in 1995, he became an extension entomologist. In 2005 he was promoted to Associate Department Head for Extension Entomology. 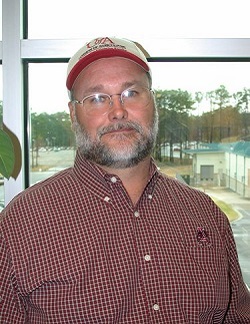 His primary responsibilities include management of insect pests in cotton, soybeans, corn, grain sorghum and rice. Common pests he reports on include thrips, corn earworms, plant bugs, armyworm complex, sugarcane aphid, stink bugs, grape colaspis, and rice water weevils. Follow more of Dr. Lorenz’s updates on Twitter. In a few moments you’ll receive a text message from Syngenta Pest Patrol. When you receive the text, reply "y" to complete your registration. *How did you find out about Syngenta Pest Patrol? © Syngenta Crop Protection, LLC, P.O. Box 18300, Greensboro, NC 27419. Important: Always read and follow label instructions. Some products may not be registered for sale or use in all states or counties. Please check with your local extension service to ensure registration status. Avicta Complete Beans 500, Avicta Duo Cotton and Avicta Duo COT202 are Restricted Use Pesticides.